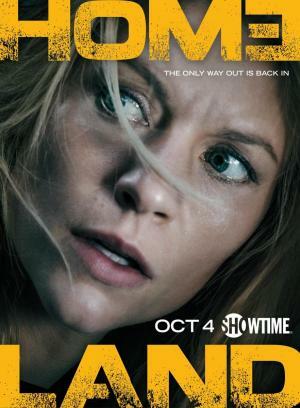 Rate "Homeland (TV Series) (2011)"
TV Series (2011-2019). 8 Season. Centers on Marine Sergeant Nicholas Brody (Damian Lewis), who returns home eight years after going missing in Iraq, and Carrie Mathison (Claire Danes), a driven (and possibly unstable) CIA officer who suspects he might be plotting an attack on America. In the 6th Season, several months after she thwarted a terrorist attack in Berlin, Carrie Mathison is living in Brooklyn, New York where she's begun working to provide aid to Muslims living in the U.S. Starring Claire Danes, Rupert Friend, F. Murray Abraham, Elizabeth Marvel and Mandy Patinkin. In the 7th Season, Carrie has left her job in the White House and moved back to D.C. to live with her sister Maggie. The 8T eighth and final season will premiere in June 2019. 2013: Emmy Awards: Best Actress (Danes), Screenplay. 12 nominations. 2012: Screen Actors Guild (SAG): Best Actress in a Drama Series (Claire Danes). 3 Nom. "[7th Season Review]: Not an explosive season opener, but fairly tense"
"[7th Season Review]: Creating a compelling narrative from real-world parallels has always been a specialty of the Showtime drama, but this year feels particularly aggressive. Everyone is on edge."